This was the game this World Cup needed. This is the team this World Cup needed. It was getting pretty bland out here without the Pakistan bowlers. Defending only 231 in 47 overs at the small Eden Park, their left-arm quicks turned it on like only the ones from that part of the world can. 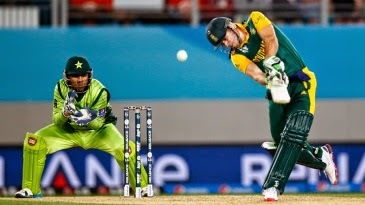 Under pressure of the chase South Africa crumbled yet again, except for one man, captain AB de Villiers, who scored 77 off 58 and threatened to singlehandedly steal the game, but once he became the ninth man to get out with 32 to get, Pakistan were assured of a win. The win gave Pakistan clearer passage to the quarter-final. They now had two bites at the cherry: they go through directly with a win over Ireland, and even if they lose they are a good shot to sneak through on net run rate. In true Pakistan fashion, they tested our patience and tested our patience and then tested it some more until almost everyone had given up. Everybody knew Sarfraz Ahmed needed to play ahead of somebody. Anybody. Umar Akmal, part-time wicketkeeper, had been dropping at least a catch every match. Pakistan team management was the only one that didn't see it. Until this game. 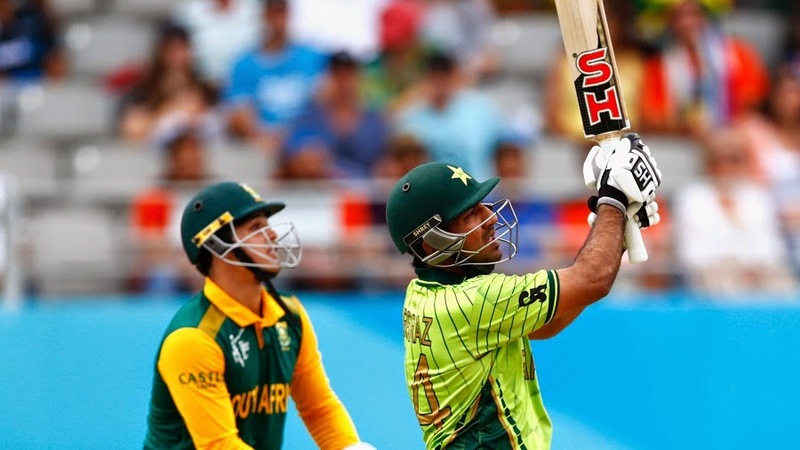 Sarfraz came in, knocked around a run-a-ball 49 to give them the previously missing purpose and impetus at the start of an innings, and followed it up with six catches, including the diving one-handed beauty to send back Hashim Amla after the batsman had successfully taken on every bowler until then.